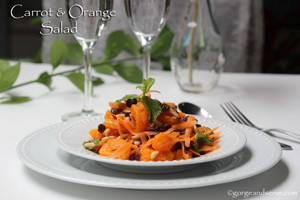 This week we pledge to eat healthy and hearty.. those 2 words in a sentence means one thing for sure- SALADS offcourse ! So i gathered a few ingredients i love and whipped up this quick salad which surely makes for a comforting meal. 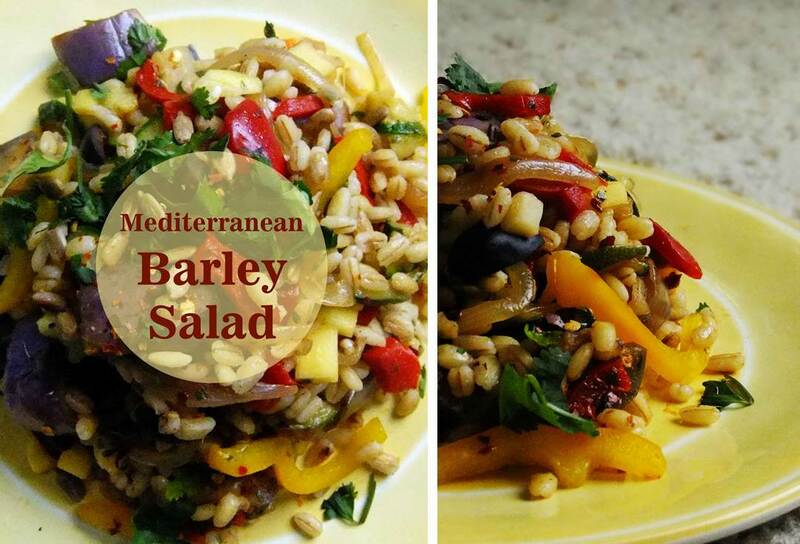 Presenting the uber healthy Mediterranean Barley Salad. Take a skillet. In it, add in the barley seeds and roast dry till slightly toasted. Now,add in water/broth and a little salt. Bring to boil and cook till the barley is fluffy and cooked (takes about 20 minutes). Remove from flame and keep aside. Let this cool down a bit. Now, in a separate skillet, add the oil. Bring to heat. Add in onions, eggplant, bell peppers and zucchini. Let it roast on high. Add in salt, pepper and red chili powder. Cook till the eggplant is tender. Remove from heat. Let this cool down a bit. Now, lets assemble the salad. For this, take a mixing bowl. In it, add in the cooked barley. To this, squeeze in the lemon juice, parsley, fresh coriander and mix. Now, finely add in the cooked zucchini, eggplant, bell peppers, onion and mix. Adjust spices. Sprinkle sunflower seeds and kalamate olives on top. Serve warm or cold. Barley : One serving of barley is approximately 1 cup, or 157 grams of cooked grain. One cup of barley has 193 calories and water makes up 108 grams of barley’s total weight. Barley is considered a whole grain food. The fiber in barley helps promote digestion and reduces the risk of colon cancer. Barley might also lower cholesterol levels and protect against cardiovascular disease. Like all whole grain products, barley can help keep blood pressure low and reduce the risk of Type 2 diabetes when consumed regularly. Barley is more effective at regulating insulin and glucose responses than whole oats. When consumed as part of a diet containing other whole grains, barley can contribute to a reduced risk of obesity, atherosclerosis, ischemic stroke and overall mortality. Eggplant : Eggplant is an excellent source of dietary fiber, which can help protect against type 2 diabetes and keeps the digestive system regular. The vitamins in eggplant consist primarily of vitamin A (in the form of beta-carotene), B vitamins, folate and vitamin C. Eggplant is also rich in minerals, boasting a large quantity of potassium, magnesium, calcium and phosphorous. With no fat, six carbs and 27 calories in a 1-cup serving, eggplant makes an excellent addition to any diet. Sunflower seeds : Some of the nutrients in sunflower seeds that make them unique are copper, vitamin E, selenium, magnesium, and zinc. Sunflower seeds have about 3 grams of fiber and 5 grams of protein in an ounce of kernels. The best part is that sunflower seeds, while high in total fat (about 14 grams), contain mostly polyunsaturated fat, which researchers believe is the best type of fat to combat diabetes. Bell Peppers: Most peppers contain about 5 to 7 grams of carbohydrates per cup of raw vegetable, although some, such as hot chili peppers, can contain as much as 9 to 10 grams of carbohydrates per cup. Peppers are also packed with vitamins A and C — just 1 cup of chopped red, yellow or orange peppers provide more than 100 percent of the recommended daily value for both vitamins. All shades of peppers provide plenty of fiber, folate, vitamin K, beta carotene and an array of minerals. 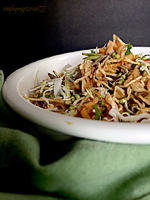 Taking this healthy salad to Friday Fiesta co-hosted by Quinn @Dad Whats 4 Dinner and Naina @Spice in the City. Let the party begin ! Tagged Diabetes friendly, easy, Healthy, Quick, Salad, Summer. 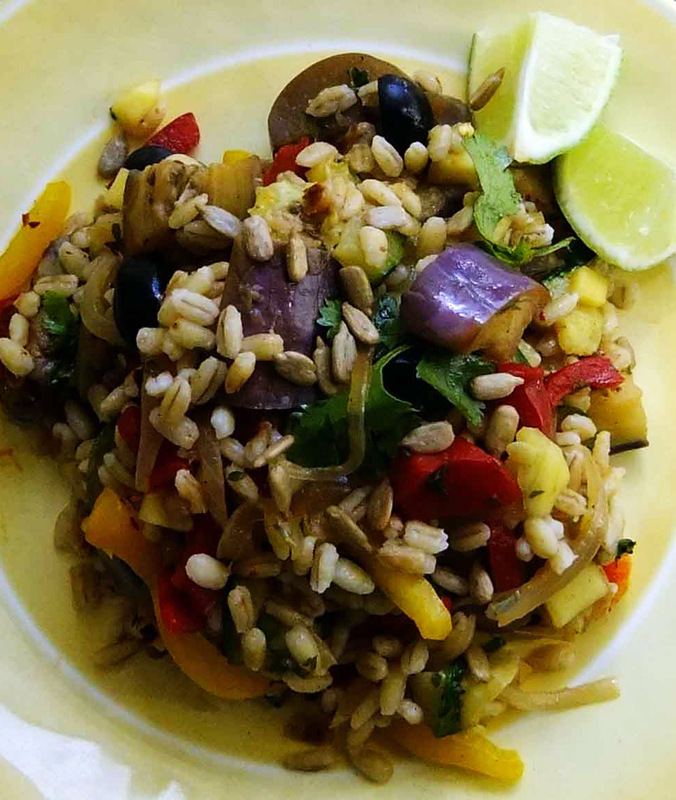 For me it’s a complete new avatar for barley ,wonderful idea & healthy.Healthy recipe. Thank u chahat for such kind words ! 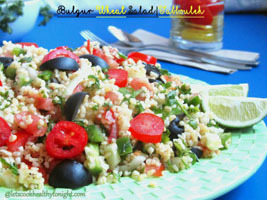 I loved the use of so many Veges in this Mediterranean salad! A must try for sure! The salad looks delicious and filling too. A yummy complete meal! super yummy. Barley is salad is perfect. Looks delicious and it’s healthy! Perfect! 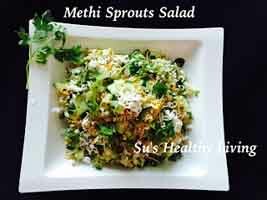 What a beautiful healthy salad Prachi! Beautiful colors and flavors! Thank you for sharing at FF!